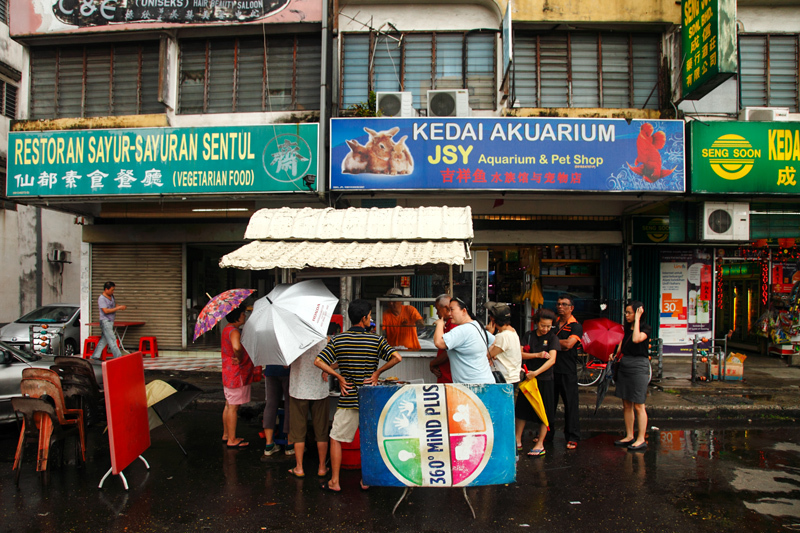 We were wondering why an unassuming stall along Jalan Sentul can have people queuing up for it. 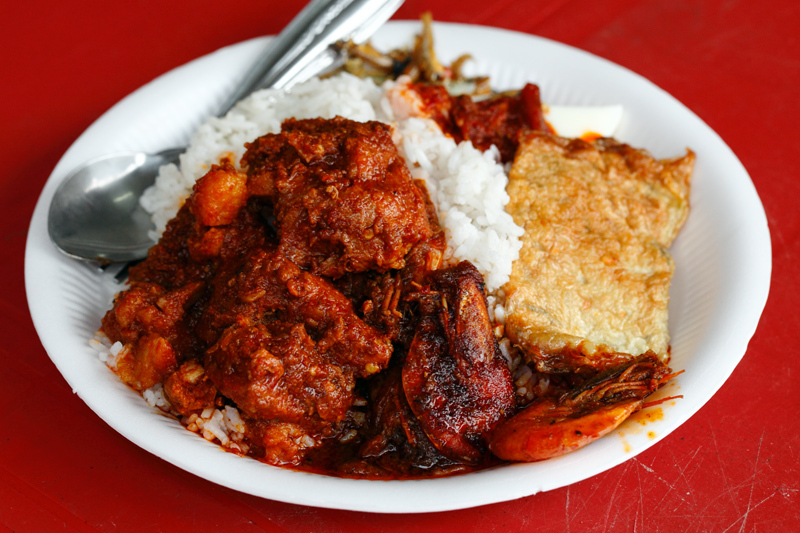 So we finally checked it out one day and found that the stall sells nasi lemak – Chinese style with home-cooked side dishes. We thought we were early but there was already a queue of people even before the stall was properly set up for business. The man on the other hand does the rest such as serving drinks, setting up the rest of the stall eg tables and chairs and assists on refilling the dishes. Since most of the customers take away in large quantities, it might take longer than expected for your turn. 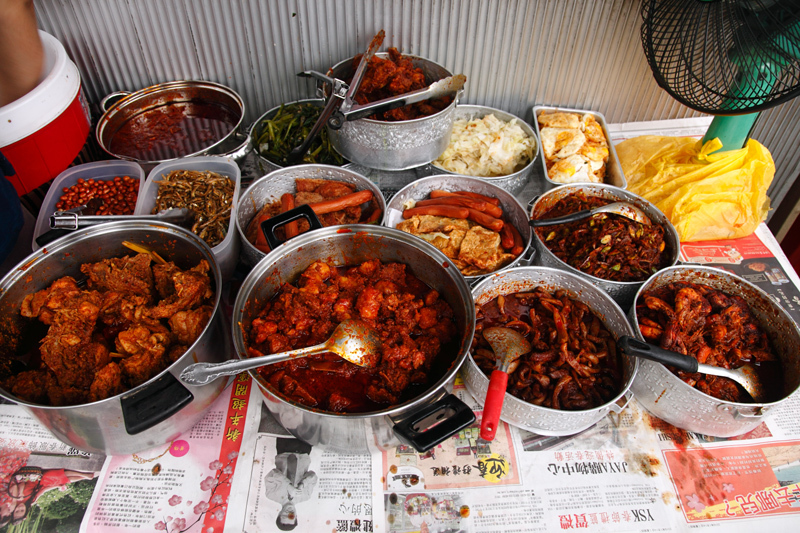 There are roughly a dozen of side dishes to go into your nasi lemak. 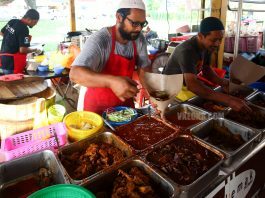 From what we observed, the chicken rendang, pork ribs curry and vege are among the best sellers and often picked by the other customers. 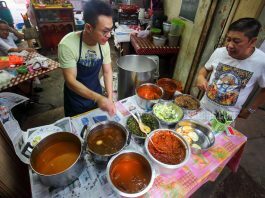 Other dishes include assam curry prawn, sambal sotong, sambal petai, ayam merah, fried egg, sausage, luncheon meat and fish cake. 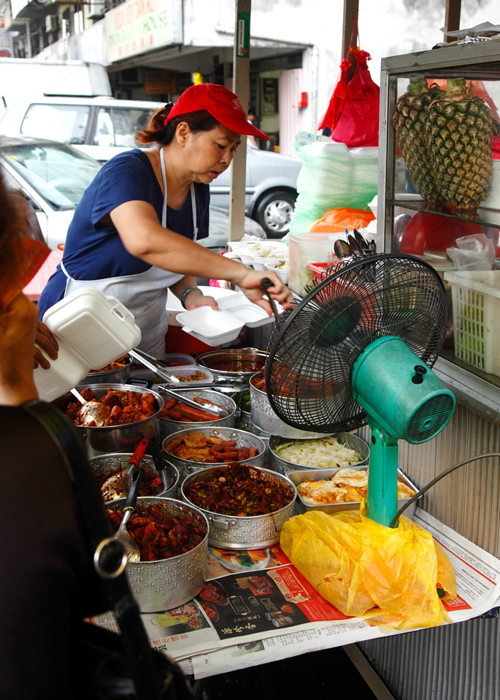 I was actually kind of worried that we would be ‘chopped’ because nasi lemak stalls like these have a reputation for charging excessively. But it turned out that this stall is the complete opposite and their prices are very affordable. 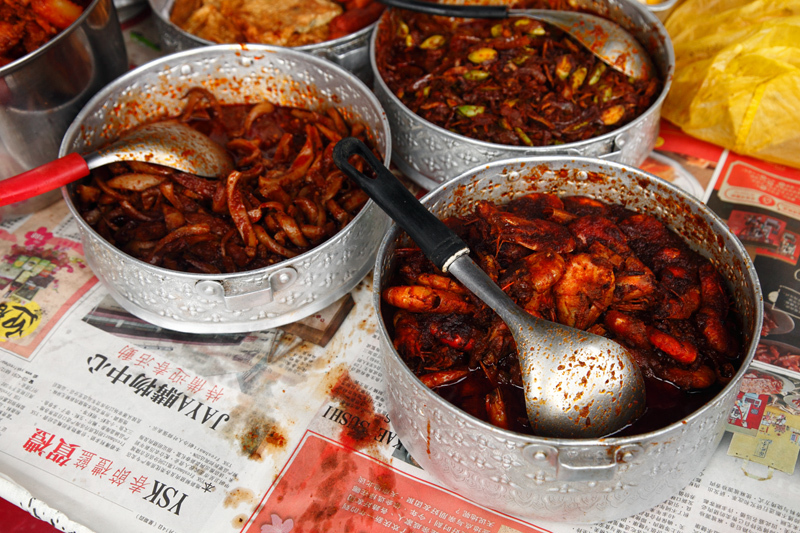 For example, I had a large serving of rice, pork ribs curry, assam prawns and a slice of fish cake. Guess how much all these cost? I was expecting to be charged at least RM10, but it was in fact only RM6.30! No wonder they are doing brisk business. SL had the chicken rendang, sambal sotong and vege, it was only RM4.50. That’s cheaper than a bowl of noodle, or a plate of chicken rice at any hawker center in KL. Taste wise, we weren’t disappointed. 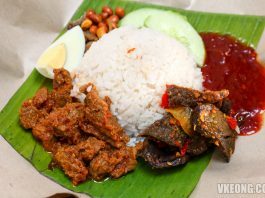 The nasi lemak was fragrant, fluffy and warm, while the dishes we took were delicious with good flavor. Sambal was great too. 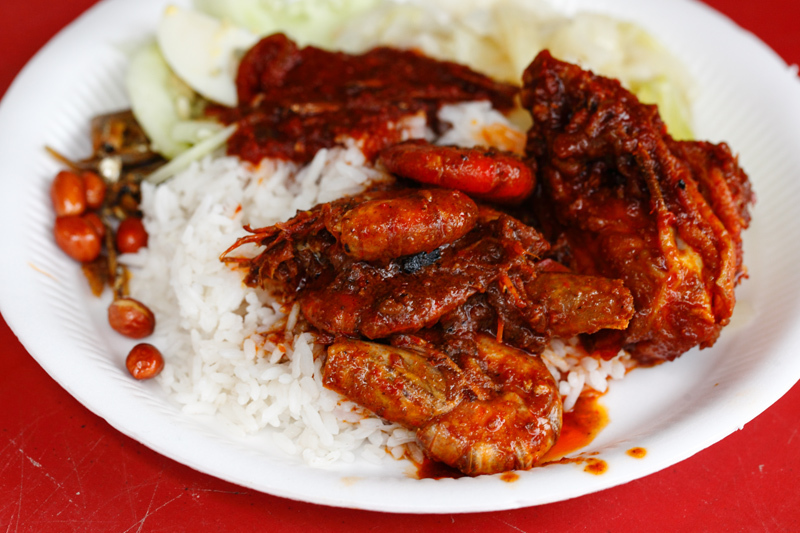 Shown above is actually our third serving – ayam merah, prawns and stir-fried cabbage for only RM4.30. I particularly loved the assam curry prawns which I think was excellently cooked. 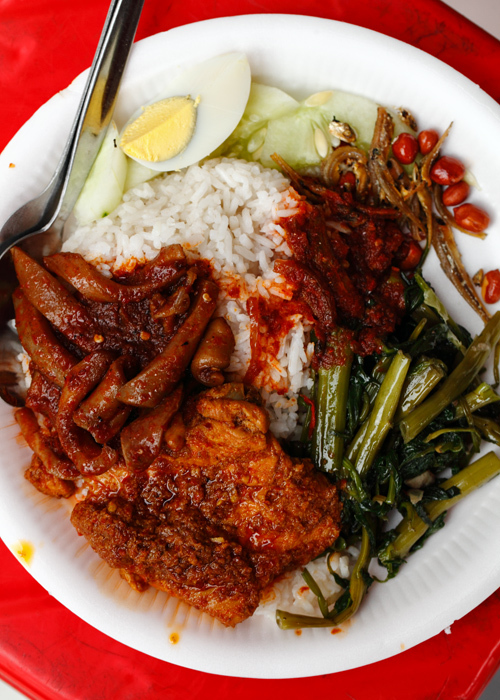 There’s simply nothing bad we could say about this Chinese style nasi lemak. Moreoever, considering their cheap prices. Looking at the pace they are selling, it’d be wise to reach here as early as possible to avoid disappointment. 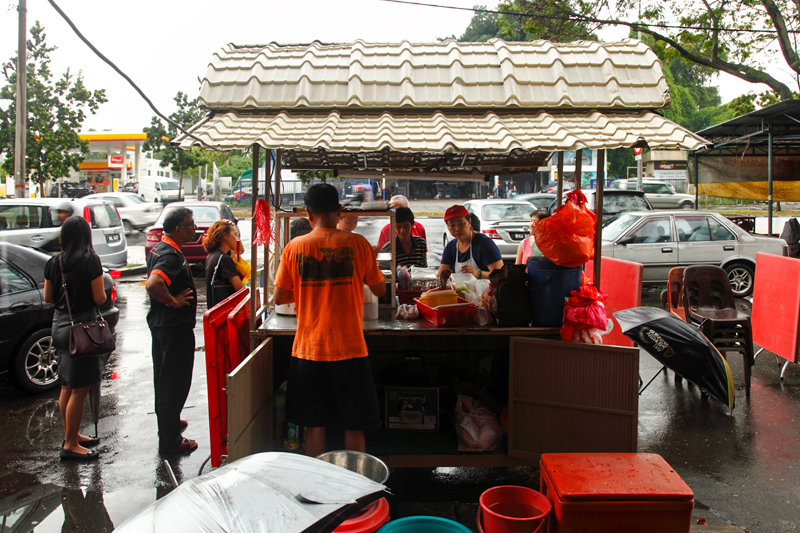 Next articleOm Burger @ Ampang – the Best Street Burger in KL?